A blog and commentary on music. Written by fans for fans. One of the biggest ways a band makes a living, especially these days, is touring. This requires the band to be away from home anywhere from 150-250 days out of the year. This means leaving the family and home behind to go on the road for extended periods of time. Often times, the artists/bands are young men or women who face temptations from all different angles. When you’re a fresh-out-of-school twenty-something guy, sometimes you need some accountability. For some bands, that means having a road pastor to travel with them. 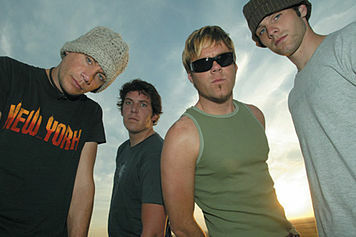 For dc Talk, one of the most popular groups in CCM history, that road pastor was Pastor Michael Guido. Guido maintains the foundation of ministry has not changed since Jesus walked on earth. “The nature of the ministry itself was and is always meeting people where they are. That’s what Jesus did. Everything in life is about relationships.” It’s these relationships that honored him at the GMA honors event in 2014 with a Lifetime achievement award. Guido would also end up working with other bands such as Jars of Clay, P.O.D., Switchfoot, Audio Adrenaline, Chris Daughtry, Michael W. Smith, and Blindside. He would also do marriage retreats and one-on-one counseling as a part of PR Ministries. Guido continues to pour his life into people after all these years and is certainly a blessing to everyone he encounters. Michael Tait (dc Talk/Newsboys): I’ve always referred to Guido as a shepherd. He would leave the 99 to go after the 1 for sure. That’s always been something I’ve admired about Guido. He went to my dad’s funeral. He was a pallbearer for my brother’s funeral. He has such a servant’s heart. He is a man who is aware of his past. He has a beautiful wife and kids. He is a man that is so seasoned but he still recognizes his need for God. That to me blows my mind. He has worked with all the top bands but he still recognizes he is nothing without God. For me, the things he shared in his devotionals I still keep close to my heart. He’s a shepherd and he’s a brother. 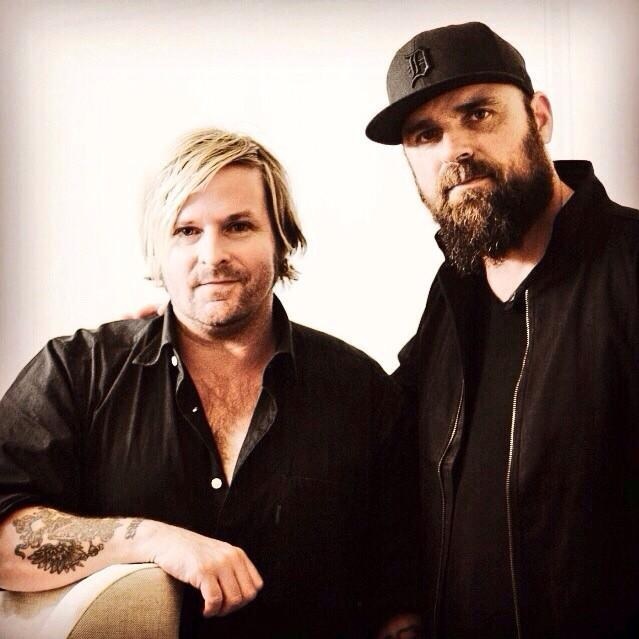 Kevin Max (dc Talk/Audio Adrenaline): I said this at the GMA honors event: The one thing I remember the most about Guido is the guy knew Scripture better than anyone I’ve ever met in my life. He quoted Scripture nonstop….to the point where you’d want to check it out just to make sure he was right (laughs). That was his go-to thing. That was it everyday. I kind of took that for granted because after Guido, there was nobody coming up to me quoting Scripture all the time. It’s cool to have a friend that knows the Bible inside and out. We would get in some really great debates. Some of them were caught on film (Free at Last: The Movie, Welcome to the Freak Show). I can sum that part of our relationship in 3 words: Irish vs. Italian. That’s pretty much it in a nutshell. I was also a very headstrong youth at that time who thought I knew a lot about life…when I didn’t. Guido was a guy who lived a lot of life and he gave advice based on that. I think we were one of the only bands, at the time in Christian music, that had a road pastor out with them nonstop. That, in and of itself, was a real pioneering scenario. And that really tethered us. It really grounded us during those big shows. Without Guido leading a Bible study or talking with us after a show on the bus…we probably would have scattered. We would have not came together as a band as much as we did. Guido was the glue that held us together. Some people have said during that time period that Guido was the 4th member of dc Talk…and that was true to a degree. Our band was as important as the 3 of us on stage…but off stage, Guido was so critical and important to dc Talk during those years. He is such an infectious personality and has a way of grounding artists by helping them recognize their own brokenness. Again, that’s just something we took for granted back in those days. Ben Cissell (Audio Adrenaline): Well he has perfect timing, and is never afraid to challenge you. Living on the road has it’s challenges and it is easy to live for your wants and desires only. It is easy to become selfish and jaded. For awhile I would try to avoid him. I think he sensed that, and he sat me down and asked me straight up why I was avoiding him. I was avoiding him because I didn’t want to pray for anything. I wanted to be selfish and live how I wanted to live. I was tired and didn’t have the energy to do another Bible study. Guido knew that. He searched me out to say something like “Don’t you see, it’s at those times that you need to seek Jesus, you need the support of a Bible study.” He understands when to have fun on the road, and when to press and talk about spiritual issues. He always brings you back to the mission of why you are there, tired and lonely. It’s in these little pep talks that the weight of the road is lifted and you are excited to play another show in Amarillo, Texas on a 5 week run. He makes you focus on the people in the audience and the message and attitude that you can help convey. It is hard to measure what Guido and road pastors do for bands. There is no measurable for how just his mere presence might have kept us more accountable, kept us from fighting, being bothered by the little things, or being tempted in unhealthy ways. Even when he was not on the road with us, Guido was brought up in many situations: “remember when Guido said this”… A band is a family. He knows that, and he did not spend his time with the band, he spent his time equally with everyone. The crew loved him too, and the crew and managers is always the biggest influence on any band. When your crew is mission focused, it causes the band to be mission focused. It was 12 guys living on a bus. Sometimes we could not stand each other, I know we didn’t like each other sometimes, but we always loved each other. Still to this day even if I don’t talk to or see the guys for years, I would do anything for them. Guido helped us develop that bond. Same goes for the other bands we traveled with. If Toby needed help from me, I would drop what I am doing to help him, and I know he would do the same for me. That is the culture that Guido created for us on the road. He taught us how to properly tour, sing, play, work, and live as a band and as Christian men. Even when that was the last thing I wanted to be. 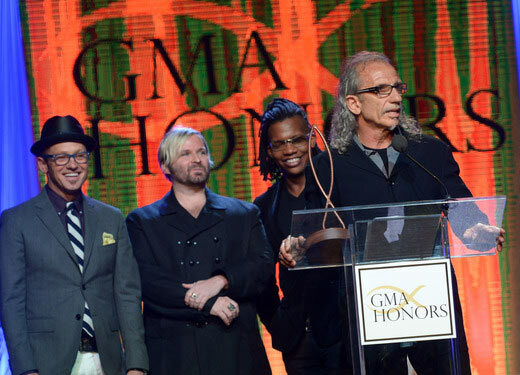 Denny Keitzman (dc Talk tour manager): He was obviously the road pastor for dc Talk for most of their career. When we were on the road, Guido was my roommate. So we got to spend a lot of time together in hotels on our days off. We spent a lot of that time in prayer. Anytime you’re out there on the front lines, there’s a lot of things that can go wrong. As a Believer, you want to bring those things before God and have him intervene in those situations. Any time you have a group of 60-70 people on the road, there’s 60-70 different egos. As a tour manager, it was my job to make sure we got from point A to point B. But it was also my job to help manage those egos and differences of opinion. There would be times where I would go to Guido and say “I’m just really struggling”. There was one point in time where I had it with a particular person. I had to commit that to God because I just couldn’t deal with it personally. So Guido and I prayed that God would give me a love for that person and get past the aggravation. It really was a turning point in my career. That’s just one example of many instances where God used Guido. We also used to chuckle about how organized I am compared to him but we always end up in the same place at the end of the day. Michael W. Smith: Guido is a great friend and has helped me and so many others on the road. He is laser focused on following Jesus and bringing others to Christ. He understand and teaches the importance of accountability. He’s uniquely gifted to do what God has called him to do. “PR Ministries? Wow, I mean how do u thank a doctor for life saving surgery?”…..
Juan Otero (songwriter, dancer): I was Guido’s roommate a lot of the time when I was with them. We spent a lot of time in prayer together. We used to go to sleep every night listening to a Glenn Kaiser worship album. We would just worship to that. Guido is a warrior, but he never claimed to be perfect. He would just put his head down and go after the Lord. You would come with an issue…And with me going through what I went through…I would struggle a lot of times with my relationships. Most of the time with girls. If I had a girlfriend, I’d go to him and he’d let me see what the real issue was…And most of the time, the problem was my own flesh. He’s always been an encouragement. The first time I met him, we (dc Talk) were touring with Michael W. Smith. Guido was with him at the time. This was right when I had first started with dc Talk. He wasn’t afraid to ruffle feathers but he always did it with a genuine heart wanting to keep people accountable. Jason Truby (Living Sacrifice, P.O.D. ): Michael Guido is a dear friend and Godly man. Like a true friend, he brings the light in the good times and the dark times. A true believer in Christ, and a true friend. 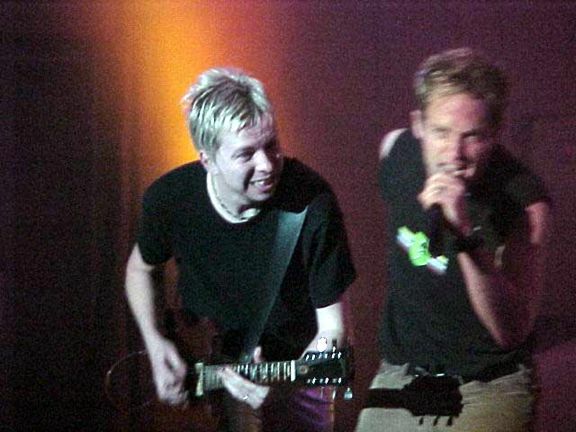 Mark Lee Townsend (dc Talk guitarist): Guido for me was a great friend and encourager on the road. In my mind, he was the voice of calm in all the craziness that goes with being a band that big on the road. I shared his passion and respect for scripture and we had lots of great talks about how great God is. It’s always a great joy to bump into him from time to time in town and share memories from that time. You can’t overstate the importance of Michael Guido to the camp back then. He always brought us back to the Word as a means of solving conflicts, which is inevitable with that many diverse personalities together on stage and off. He’s a man after God’s heart, and his life shows it. Love that guy. Mark Heimermann (songwriter, producer): Every artist needs a “Guido”…a prophetic voice in your life that keeps you challenged and grounded. The stage gives many artists a lofty and yet false sense of self. It’s difficult to reconcile that mentality while truly desiring to follow Christ. Guido plays a crucial pastoral role in an industry of distractions and egos, encouraging those around him to keep their eyes fixed on the cross. He truly is a gift to us and to me personally. Nothing but love for my courageous brother Guido! Dan Brock (Forefront Records co-founder): I always valued Pastor Guido’s commitment to dc Talk through the 90’s while I was president of ForeFront Records. It was great to know that he was consistently there as the group’s road pastor. Even though I’ve been away for several years, I’m sure his influence has endured. 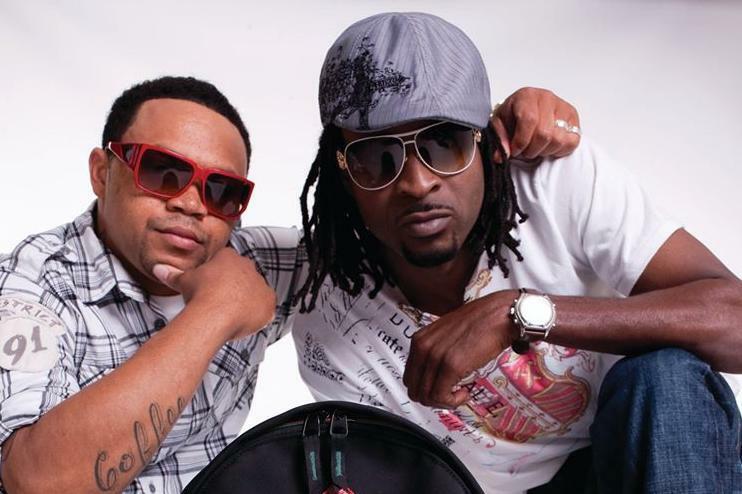 This entry was posted in art, Christianity and tagged audio adrenaline, blindside, dc talk, jars of clay, kevin max, michael tait, P.O.D., Stryper, switchfoot, tobymac. Bookmark the permalink. Keep in touch 🙂 Yes! Awesome! Blessings to you all always :-)! Please donate to help us with website expenses.